Today, I had to take the 4-wheeler for a ride. The battery had died (again) and after I jumped started it, it needed to run for awhile. Away I went with my camera to the pond at Mom’s timber. I wanted to try to photograph the ducks. 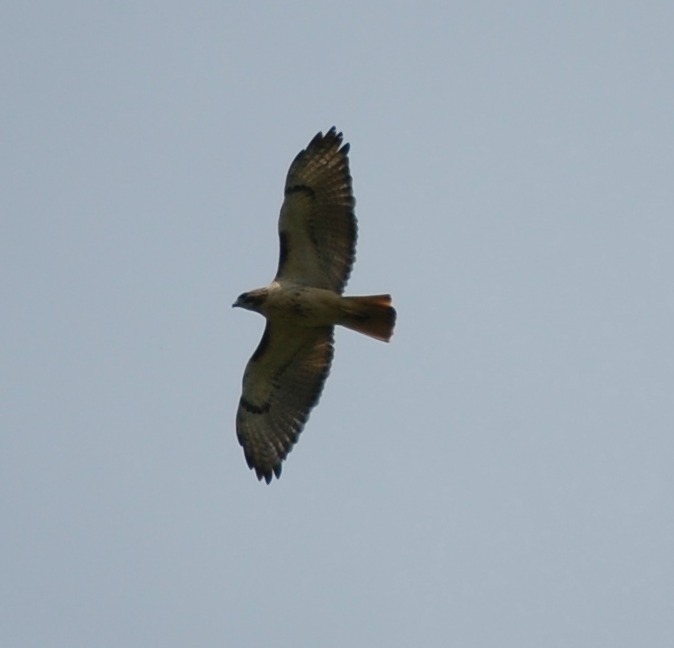 I did see this pretty hawk. 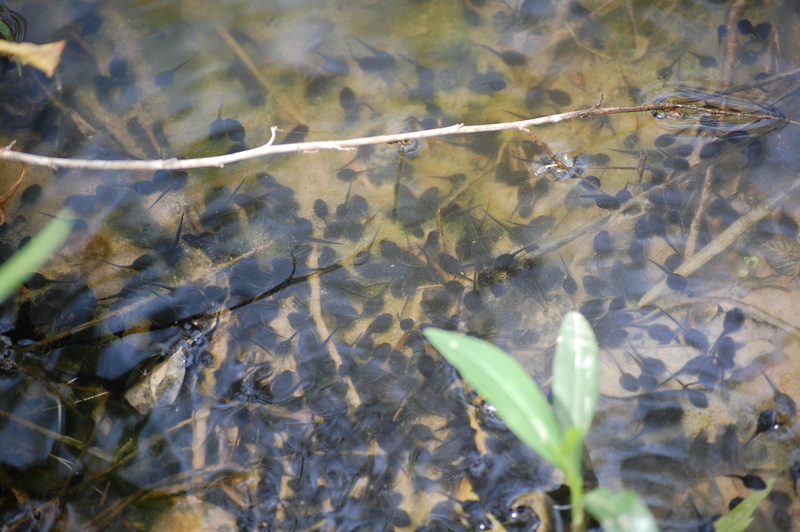 I also found a gazillion tadpoles. 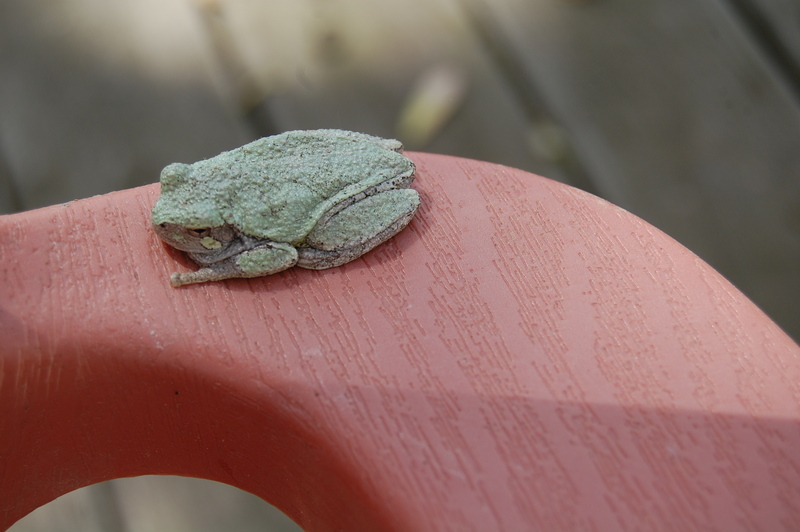 Upon returning home, I started to rearrange my plastic Adirondack chairs on the deck and thought, “Ewww, what is that blob?” Upon closer inspection, it was a tree frog, sunning itself, while resting up for my evening serenade. I’ve been loving having the windows open, hearing the frogs and robins sing their happy spring songs. Evidently, May 7th is the Day of the Frog. May you have a hoppy one. At least a tad hoppy. This entry was posted in Country Living and tagged 4-wheeler, Adirondack Chairs, country living, Hawk, pond, Tadpoles, tree frog. Bookmark the permalink. That is a hilarious story! The echoing would have been intense. 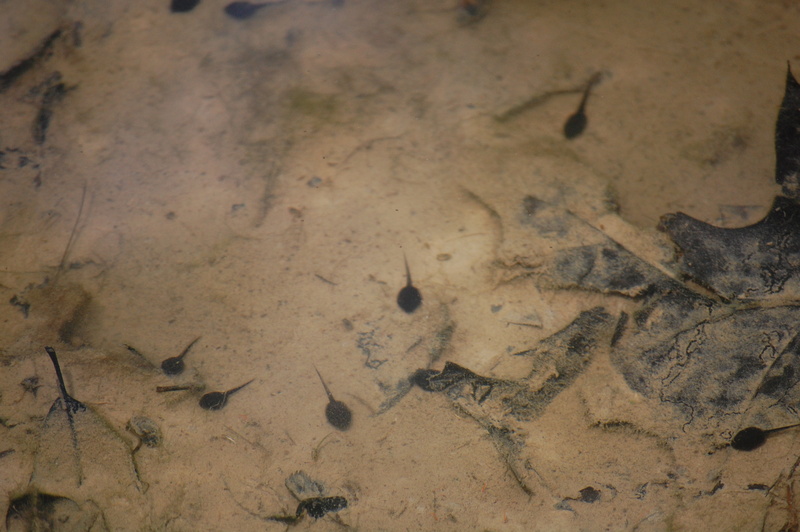 Oh, my gosh….when have I seen a tadpole??? (Even just a picture??!) My childhood home was beside a pond, and we had tiny little frogs all around the side of our house, facing the pond. My nieces and nephews and I used to play with those frogs and loved to see the tadpoles. Thanks for the memory! At the time, I was thinking, “Oh I wish the boys were here.” They are now 22 and 19 and probably wouldn’t have been nearly as entranced as they used to be… I’m glad the post brought back a good memory. One of my favorite things is riding the 4 wheeler around the farm! Love the pics! That is a nice-looking hawk. 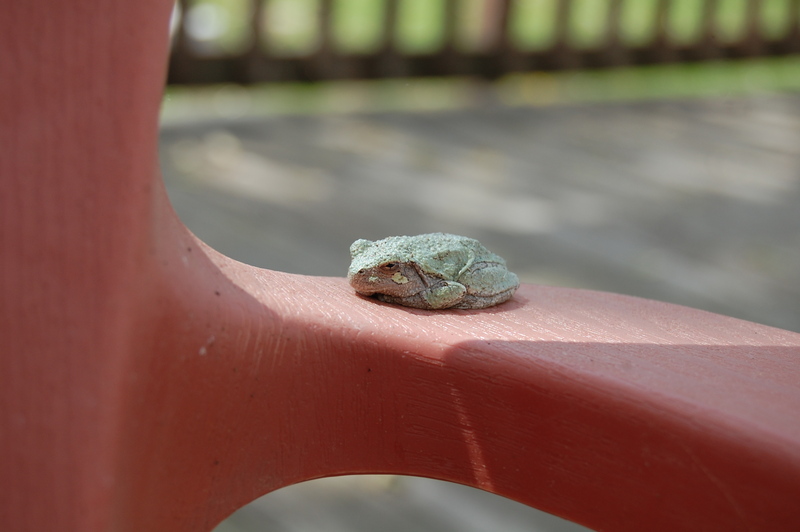 Cute frog, too. The ducks missed the perfect photo op. Like Dianna, I haven’t seen tadpoles in a long time. I love taking time to watch nature! Thanks, Linda. Oh, I would be aching for green trees… you will really enjoy it once it comes! 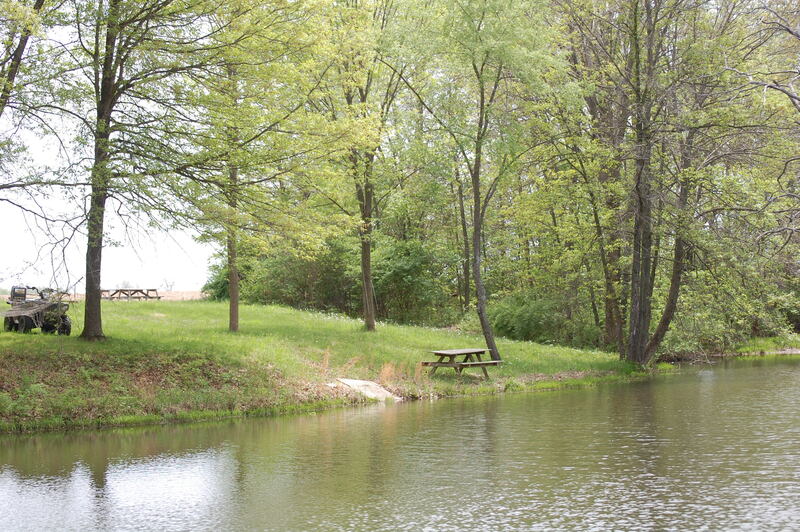 Loved that photo of the pond and the picnic table. The green frog, too. So much to enjoy if we take time to notice it!